Welcome to Global Connections, the Center for Global Engagement's new weekly newsletter where you will find important information about upcoming events and other CGE news. We hope to see you at one of our events soon! Thu, Jan 21 | 5:30 pm | The Globe Auditorium - Join us for the semester's first Engage Your World featuring Pankaj Chakraborty, PhD, Assistant Professor & Chair of the Department of Political Science at Holy Cross College, Agartala, Tripura, India, and Fulbright Scholar-in-Residence at King's College. 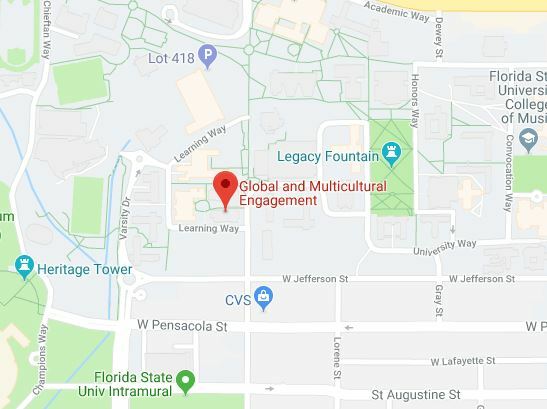 Co-sponsored with the FSU School of Communication, South Asian Media and Cultural Studies, and the FSU Institute for Intercultural Communication and Research, the event is free and open to the public. Fri Jan 22 | 11:30 am-2 pm | The Globe Dining Room - The spring's first Global Cafe features Cambodia, co-hosted with the Global Peace Exchange student organization. The meal will highlight Bai Soch Chrouk (pork marinated in coconut milk, served with jasmine rice) or the vegetarian option, Khmer fried rice. This student-centered program is designed to increase awareness and appreciation of the cultural diversity on campus. Lunch closes at 2pm (or when food runs out). $7 cash or check only. Uncover the treasured traditions of this iconic civilization and experience Greek music, dance, food, and more! All F-1 international students nearing graduation are required to attend an Optional Practical Training (OPT) workshop (in person or online) if you may be interested in working in the U.S. after graduation to gain experience in your field of study. NOTE: The average processing time for OPT authorization is 2-3 months. Therefore, please start your preparations for OPT early. It is advised you attend a workshop BEFORE graduation, preferably the semester prior to your final term. Registration is required. To register, visit https://cfprd.oti.fsu.edu/dsa/IC/.